Program 306 – Speaking Native | Wisdom of the Elders, Inc.
August 1955. 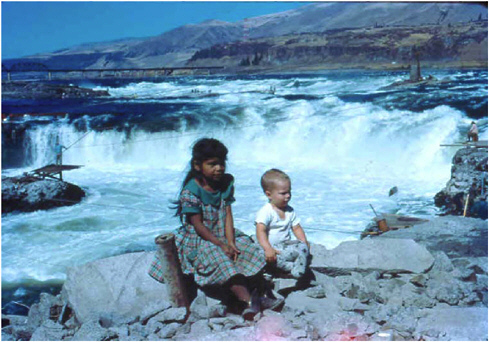 Fishing at Celilo Falls, where The Dalles dam was later constructed. In the background, an American Indian prepares to take a fish out of the net from a scaffold. Photo courtesy of Ernest Smerdon. 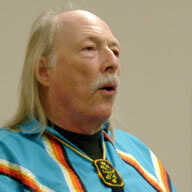 Today the reservation has a vibrant language program of fluent Native speakers in all three languages, resulting in a growing number of younger speakers. Nchi-wana, meaning “the big river,” is the name of the Columbia River. Nchi-wana.